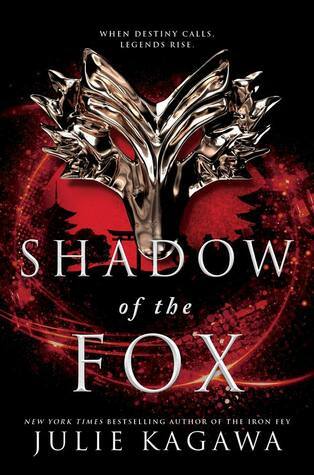 Beautifully written and executed, Shadow of the Fox was mesmerizing. With it's delicate weave of both fantasy and lore, it kept me turning the pages eager for more. Rich in legends, danger, demons, and magic, this truly stood out not only in it's genre but sub-genre as well. A story that is every bit as captivating as it is imaginative. With beautiful imagery that made you feel like you were right there in the adventure with demons and witches around every corner. Never knowing quite what was real and who you could trust. Told in alternate point of views, Shadow of the Fox was unlike anything I have read before. It will leave you with your heart racing and your lungs gasping for breath. Wohoo! I'm so glad you liked it! I'm desperate for more! It had been a really long time since I had read anything by her as well so I'm glad I tried her again for sure. Just the masquerade mask on the cover makes me want to stare at it all day Lol! It does have a pretty cover! It had been for me as well. So glad I took a chance on it. Sounds like a winner!! That's awesome. This book would be an awesome anime that I would love to watch. I'm thrilled that it lived up to your expectations. I was telling one of my girls about it and that is exactly what she said! She said it sounded like an anime or manga series and she wanted to read it as well now. I've never read her but I can see why you liked it. It was so good and the lore and legends were even better! They do have a great list of books to offer for sure. Great review. It worked. Makes me want to read it. I enjoyed this one too! Cant wait for the next book. Great review! Me too! It will be interesting to see where it goes from here with everything that happened at the end. It really is a great cover! i have heard about the author, but never read any of her books. This like an awesome read. I've only read her Iron Fey series besides this one, but I've loved them both! I do have her other books, I need to put them on my kindle and read them as well. Ooo I do love Kagawa. Maybe I should grab this on audio. Great review, you've got me wanting it. Oh I have one of hers on audiobook that I keep forgetting about. I might have to do that on an upcoming car trip! This sounds cool! I read & loved her Blood of Eden series. I wanted to try her Fey series, but just couldn't find myself interested enough. I read her Fey one when it first came out years ago when Fey was the thing to be reading but yeah, it isn't as much now but it was a great series. I need to try her Blood of Eden and her Dragon one, Talon I think it is. The beautiful imagery definitely has me eager to try it. I love beautifully written books :D sounds atmospheric going to hopefully give this one a shot when I can get back into reading more. I really hope you do and that you love it! This was so good! Makes me want to go and pick up all her Iron Fey series! You should! They are super good as well and I've heard her Blood of Eden and the Talon series are as well. I think I have both and so need to make time for them now.